Winers night was hosted at our house recently. There were twelve friends scheduled to come and we were looking forward to it. The winers night is hosted on average once a month and we rotate who’s home it will be at. Each of the couples and other friends brings a bottle or two of wine pairing it with an appetizer to share. We get together at 6pm and generally everyone leaves the festivities around 10:30pm. This night, Dave and Heather were the first ones to arrive. Chris was in the middle of preparing her grilled steak crustini’s and was ready to have the first glass of wine. She was feeling like enjoying a white wine so I had Dave grab one out of the cooler in our pantry. This small cooler holds twelve bottles where I keep various whites (Sauvignon Blanc, Chardonnay, Vermentino), and a couple Rose’s along with my vintage 1963 Taylors Fladgate Port. 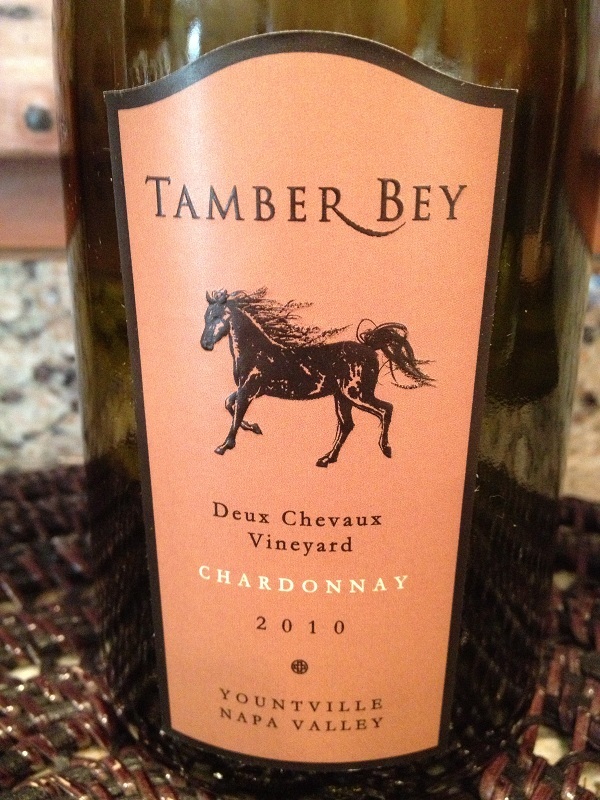 Dave pulled a bottle of 2010 Tamber Bey Deux Chevaux Chardonnay. Since I have not rated this Chardonnay, I grabbed my tasting sheet along with a cork screw and poured us all a glass. I also asked them to help me with their opinions to rate this wine from Tamber Bey. Pale color depth with a nice amber hue. I could see it had to have spent some time in oak. The nose was very aromatic and young and buttery. We also noted Honey Dew melon along with other citrus hints. The chardonnay was slightly sweet and full bodied and the acidity was lively! Our mouths watered with every sip. The tannins were there but week and soft being felt in our mid palate and the finish was long and buttery. 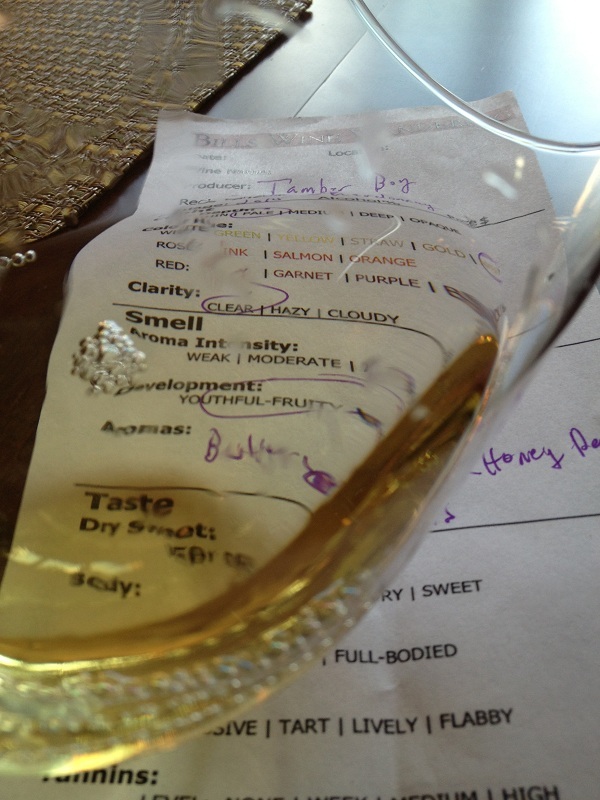 We rated the 2010 Tamber Bey Deux Chevaux Chardonnay four glasses. The wine was slightly warm in the glass at 57 degrees. I put the bottle in the refrigerator to cool it down more but even though the Chardonnay was slightly warmer than I would normally prefer, it was really good! The following day after Chris and I finished cleaning up the kitchen, Chris said the 2010 Tamber Bey Deux Chevaux Chardonnay was her favorite wine of the night.